We love old photos and these fine examples are no exception. So often when we read accounts of the pioneers it can seem removed from our everyday lives. Seeing photographs of how people lived and worked, we can begin to get a sense of what their lives might have been like. From the sod houses to the lack of infrastructure, the Old West way was rugged. And the labor needed just to have some shelter or to simply eat dinner was a constant struggle. You really had to have a lot of fortitude in order to make a life back in the Old West! Check out the incredible historic photographs below. 1. 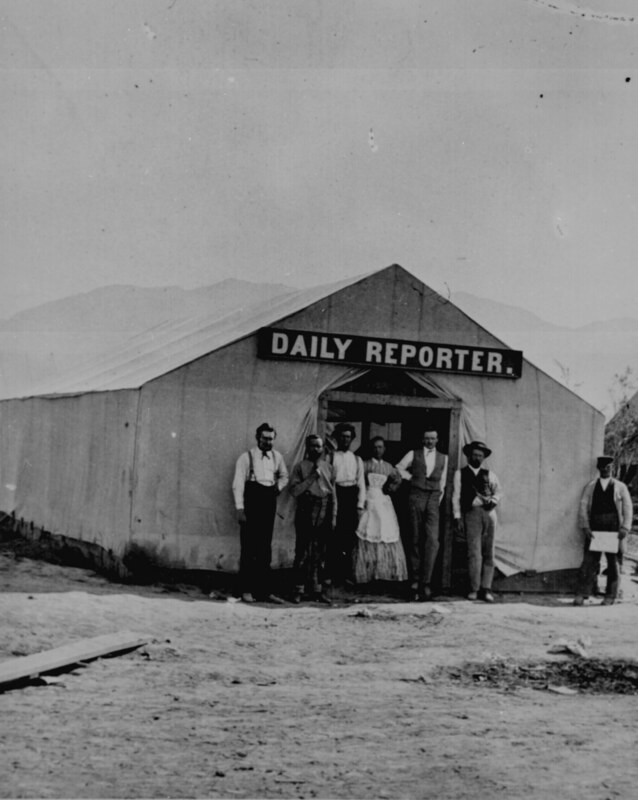 Daily Reporter staff in front of their office, Utah Territory, 1869. 2. Tinted photograph of burros hauling lumber in circa 1898 in Colorado. 3. 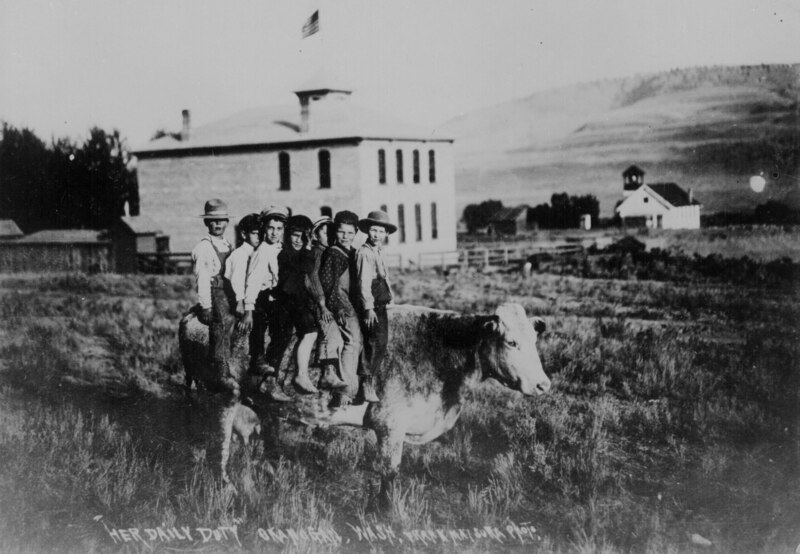 Frontier school children pile onto the back of a cow, circa 1907. 4. 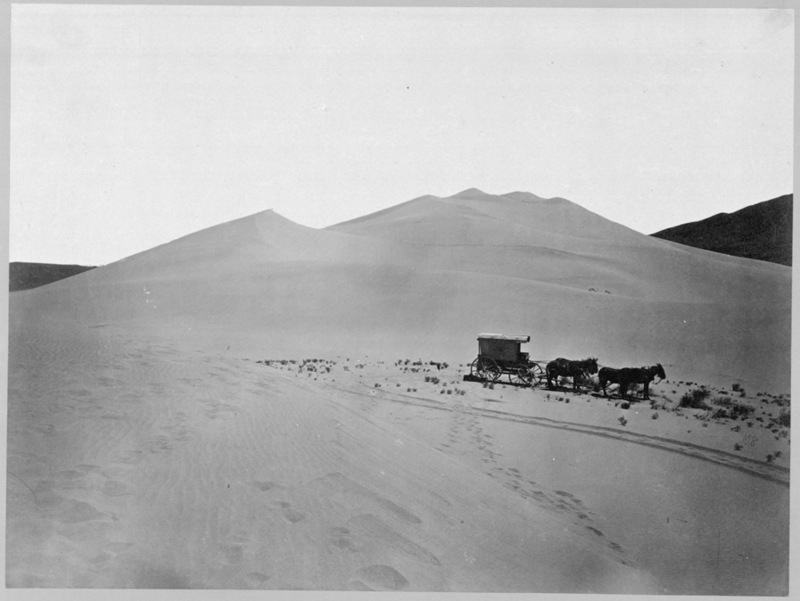 Photographer Timothy O’Sullivan’s ambulance wagon and portable darkroom inside an ambulance used during the King Survey on the sand dunes of Carson Desert, Nevada, 1867. 5. 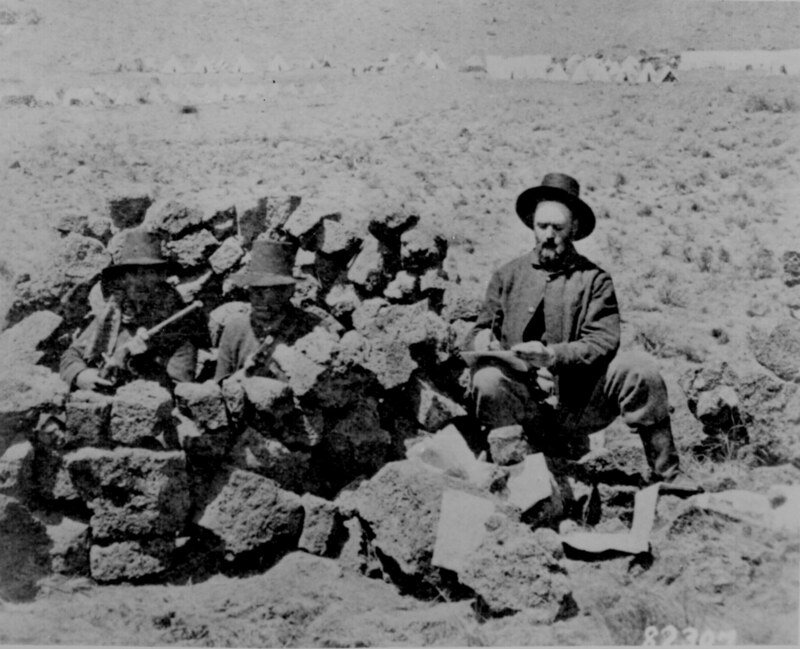 San Francisco Bulletin correspondent taking notes on the battlefield near General Gillem’s camp during the Modoc War circa 1872. 6. 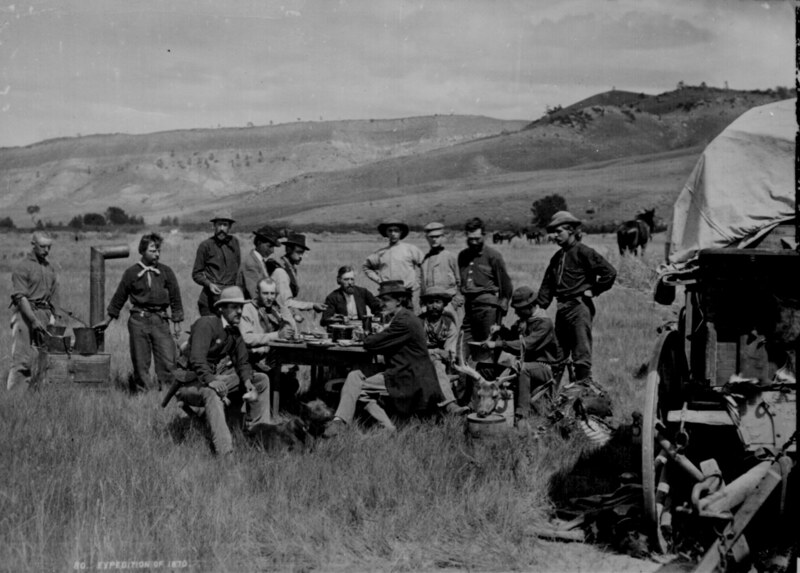 U.S. Geological Survey stops for lunch at the chuck wagon, Wyoming Territory, 1870. 7. Tinted photo of cowboy circa 1898. 8. Dugout sod house in Oklahoma, 1909. Click “Next Page” to see more incredible photos of the Old West!